Did you know the home owner is responsible for the sewer line from the home all the way to the point where it connects to the city main sewer line? 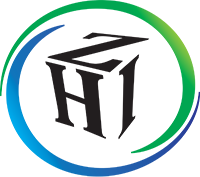 Sewer Video Scans are recommended to be performed on all homes, new and old. Problems from poor installations to pipe failures or damage are common. Having a sewer video scan performed can evaluate the sewer line and alert a buyer to any issues that may exist before purchasing the home. Small repairs to a sewer line can cost $1,000-1,500. Replacement of a sewer line on average is over $8,000 and can range from $6,000-15,000. What is the value of a home without a functioning sewer line? Buying a property with a septic tank, that will be getting inspected before closing? They only inspect the tank, not the sewer line to the tank. 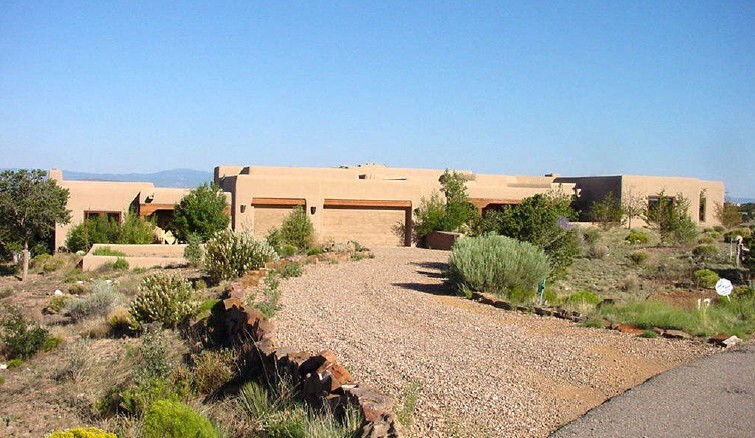 The first photo below is of a home that has a septic tank. Many times some root growth is noted and can be removed by having a hydro-jetting service performed to clear any blockages or roots. Compared to the cost of sewer repairs, this service is inexpensive and can be done annually to keep the line clean and flowing properly. There are many kinds of problems we see with sewer lines. Here are two examples. Sewer line with a fence post driven through the pipe. Large debris can become stuck at this point and cause the sewer line to be blocked. Here’s a sewer line with a reducer installed. Sewer lines cannot reduce in size when flowing towards the city sewer main. this can cause a restriction in the flow and blockage of the pipe. 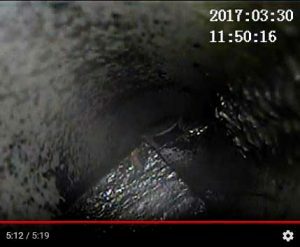 As part of our services, we post the sewer line video scans on Youtube for viewing by the client and plumbing contractors if repairs are required. With the use of a sewer camera, we can visually evaluate the conditions of the interior of the sewer line. Roots, blockages, separated or damaged pipes are common issues that are found during a sewer scan. 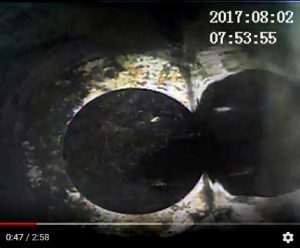 Below are some examples of sewer line video scans that we have taken at Zsako Home Inspections.